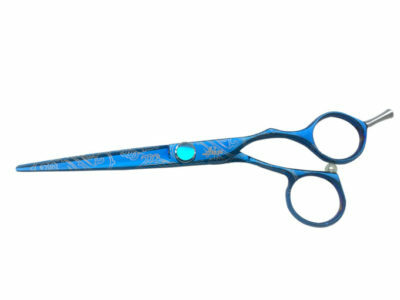 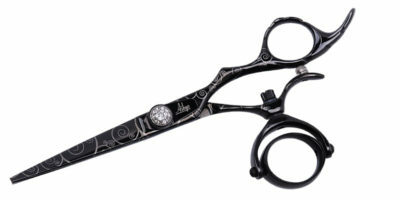 Offset, Crane handle style with thumb adjustable screw system and slim pointed blades. 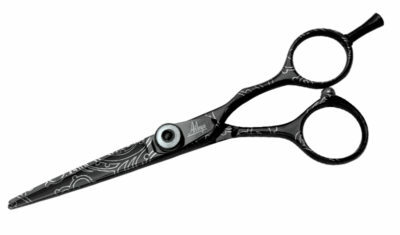 Black Titanium Double Rotating thumb with super convex edge blades. 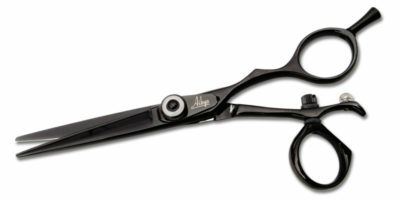 Good for slide and point cutting. 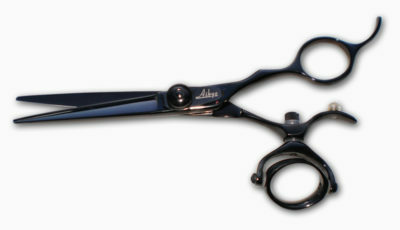 Offset handle style with thumb adjustable screw system. 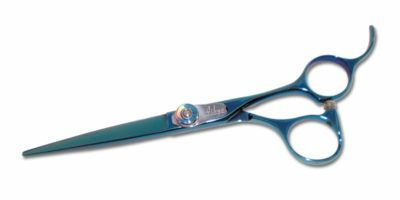 Convex edge pointed blades for point and slide cut. 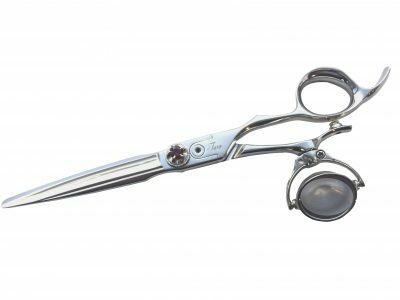 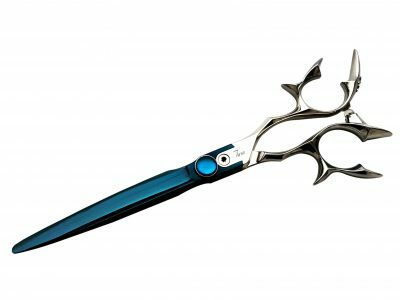 Double Swival Titanium, Beautifully designed offset handle style double rotating thumb ring with super convex edge blades. 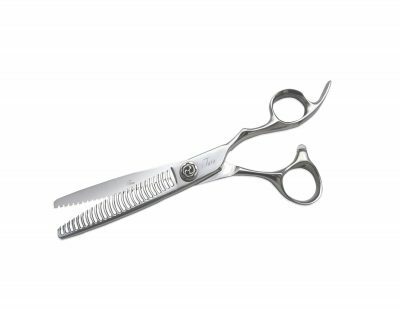 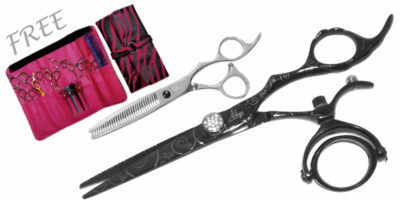 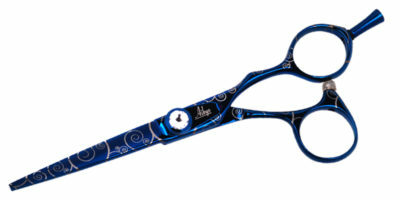 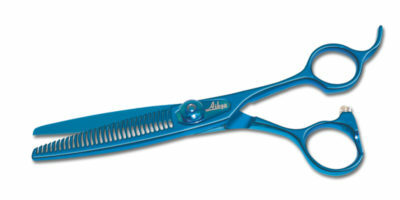 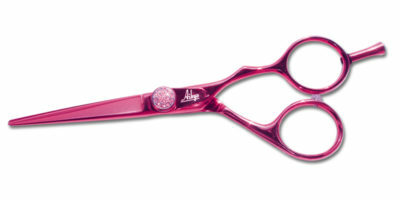 Comes with 30 teeth texturizer and try fold 14 pockets shear case. 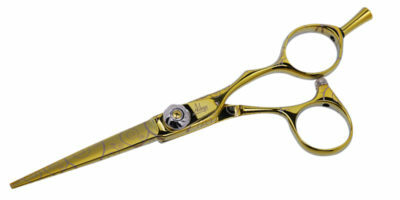 Become our dealer and get exclusive prices.